Abraham ben Solomon Alḥadib: Judge in Corfu in 1530. Eliakim Alḥadib: Lived in Lepanto, seventeenth century. Ezra ben Solomon Alḥadib: Venice, 1607. Samuel Aboab addressed a letter to him in 1647. 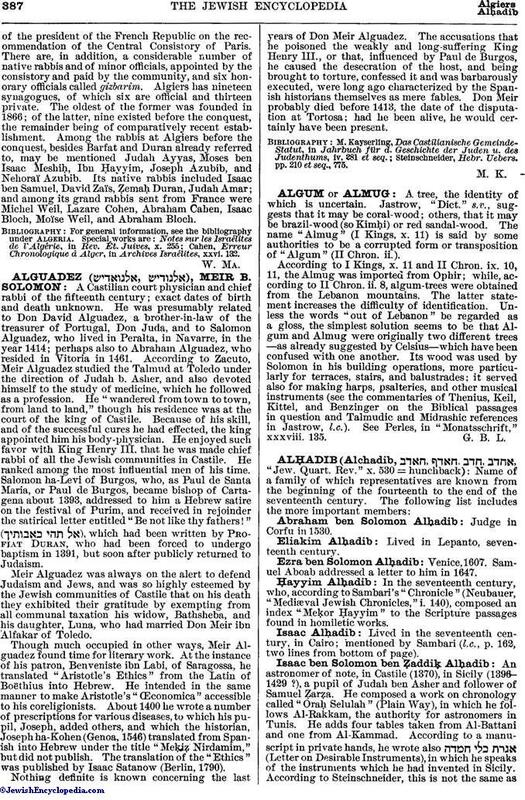 Ḥayyim Alḥadib: In the seventeenth century, who, according to Sambari's "Chronicle" (Neubauer, "Mediæval Jewish Chronicles," i. 140), composed an index "MeḲor Ḥayyim" to the Scripture passages found in homiletic works. Isaac Alḥadib: Lived in the seventeenth century, in Cairo; mentioned by Sambari (l.c., p. 162, two lines from bottom of page). Jacob ben Moses Alḥadib: Lived in 1442; the writer of "Codex de Rossi, No. 950." Johanan Alḥadib: Lived in the sixteenth century. Judah Alḥadib: Lived in 1566, in Lepanto. 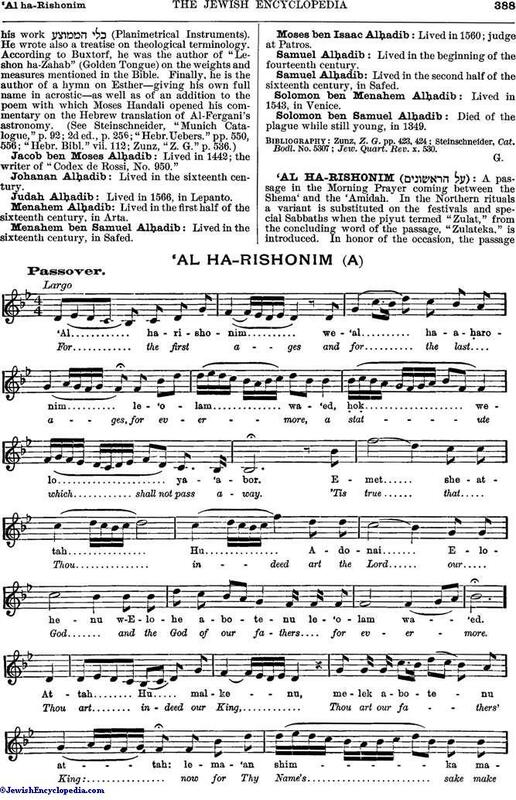 Menahem Alḥadib: Lived in the first half of the sixteenth century, in Arta. Menahem ben Samuel Alḥadib: Lived in the sixteenth century, in Safed. Moses ben Isaac Alḥadib: Lived in 1560; judge at Patros. Samuel Alḥadib: Lived in the beginning of the fourteenth century. Samuel Alḥadib: Lived in the second half of the sixteenth century, in Safed. Solomon ben Menahem Alḥadib: Lived in 1543, in Venice. Solomon ben Samuel Alḥadib: Died of the plague while still young, in 1349. Jew. Quart. Rev. x. 530.